ElectroPure™ Silver Stain Kit | Polysciences, Inc.
Photo: Gel stained with Silver Stain Kit. Silver staining is a highly sensitive method for detecting proteins in polyacrylamide slab gels. 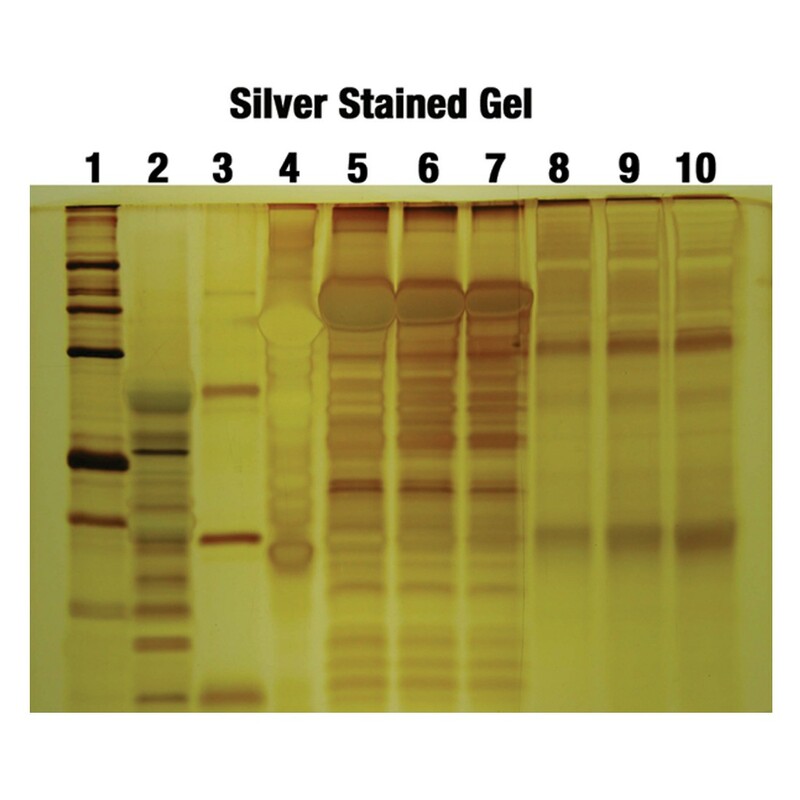 Most silver staining protocols are time consuming, complicated, and dependent upon the purity of the reagents. Polysciences’ Silver Stain kit is simple, stable, controllable, and very rapid. Our method is sensitive to proteins in the nanogram range and may be used either before or after Coomassie blue staining. Staining for proteins is initiated in an alkali environment. Protein amino groups as well as cysteine and methionine sulfur groups are complexed with silver cations. Our Silver Stain Kit consists of five solutions pre-formulated with the highest purity reagents.